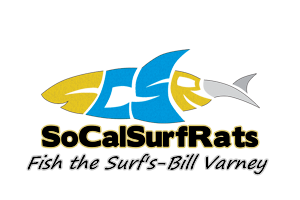 Fishing San Diego - Blogs - Surf Fishing California - How to Surf Fish & Surf Fishing Reports and Tips. You can try south Ponto beach in Carlsbad. Tamarack beach to the north of agua hedionda inlet is good too. These beaches have showers and bathrooms. San Clements pier is good to the south of the pier . Try surf fishing at all these locations with sand crabs and squid.